Can’t get much more retro gaming than some classic BBS Door games. You can telnet into a local BBS here in Huntsville and play some of these great classic games. Just point your favorite telnet client to: loybbs.net:23322 and create your account. New users have full access to enjoy the games and the large selection of message bases. @Dallas: Thanks for the info! Do you think you will make it out to the event? Maybe set up some terminals for people to play with the BBS? @Hunter: Unfortunately no. I have a day full of Birthday festivities going on at the same time at the Retro Arcade on University next to CiCi’s. 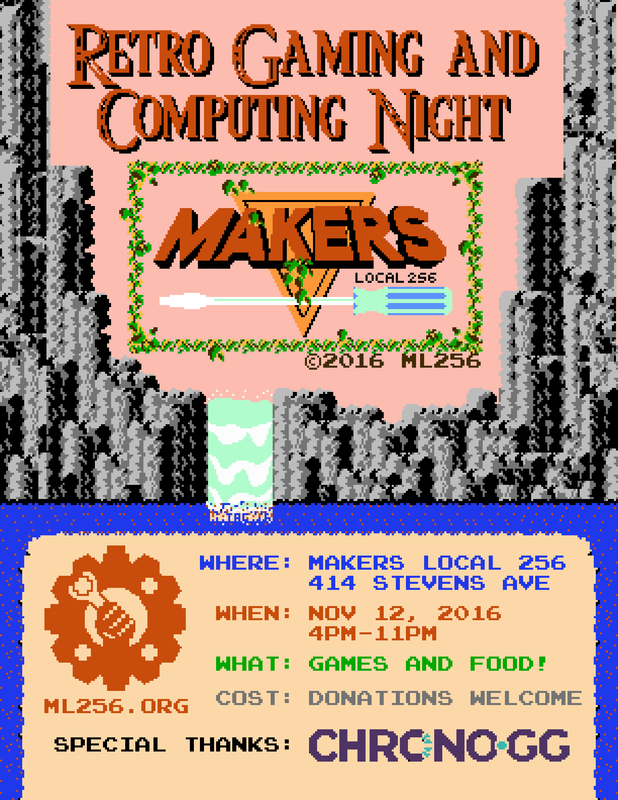 I did, however, send a flyer to the email address listed above (contact@makerslocal.org) that someone can hopefully print a few out and post around the venue.